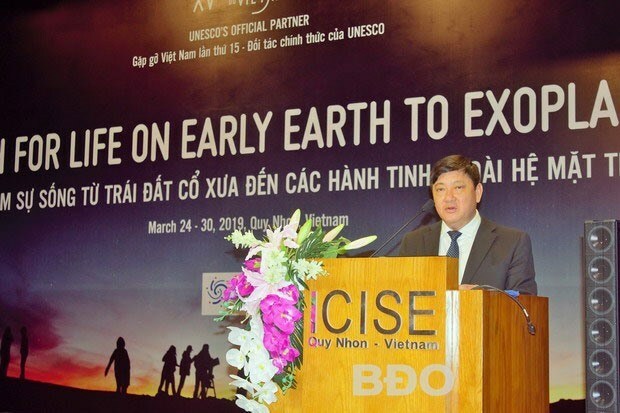 Binh Dinh (VNA) - Fifty scientists from 21 countries and territories across the world gathered in Quy Nhon city, the south central province of Binh Dinh on March 25 under the 15th “Meeting Vietnam” (Rencontres du Vietnam) programme. The conferences themed ‘Search for life on early earth to exoplanet’ are expected to help scientists from different sectors discuss the fundamental questions that inspires scientific passion among scientists, philosophers and general people such as how life appeared and exists on Earth or if there is life on other planets. The conferences are set to last until March 30.